Thinking of visiting Jerusalem? It was must-see for us on our ongoing quest to visit the world’s great historical and religious cities. With millennia of history and culture, visitors have no shortage of experiences to take in during their time in this ancient city. 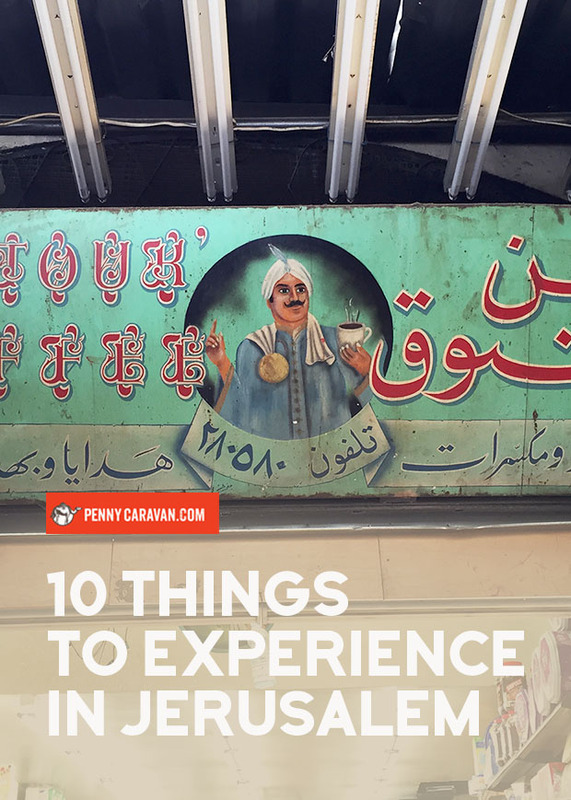 Our list below contains a mere fraction of the things to see and do, but represents some of the highlights that we hope inspire you while planning your visit. For that postcard view you’ve always seen of the city, you’ll need to head to the lookout point on top of the Mount of Olives. We visited in the evening but I bet the morning light is even better for photos. A path leads back down to the bottom of the hill where you can visit the Garden of Gethsemane where Jesus was arrested. The Arab quarter of the Old City is a bustling market where you’re sure to be overwhelmed by the scent of spices and incense. A day wandering in this neighborhood is a day well spent, as you’ll encounter dozens of friendly people looking to engage in conversation as you shop and take in the historical sights along the way. 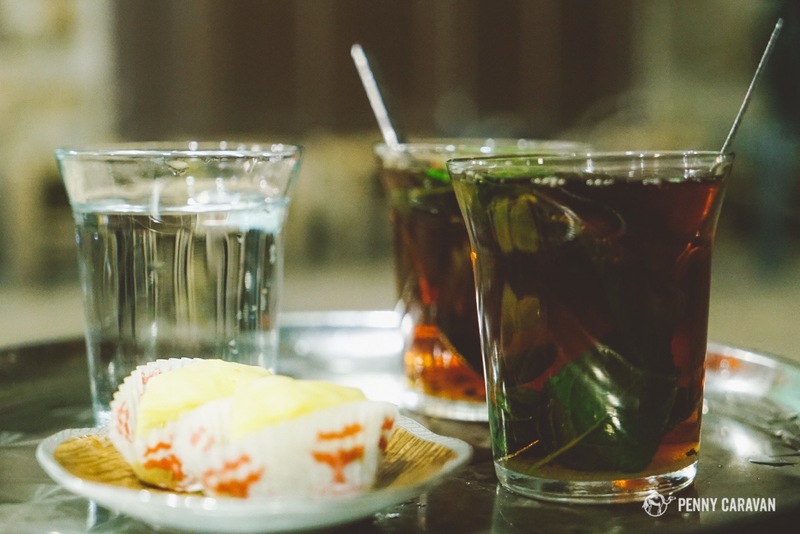 Take frequent breaks of small meals throughout the day so you can taste a little of everything—hummus, falafel, fresh pomegranate juice, and my favorite, the mint tea. The Via Dolorosa is the path that Christ walked from where He was sentenced to where He was crucified. 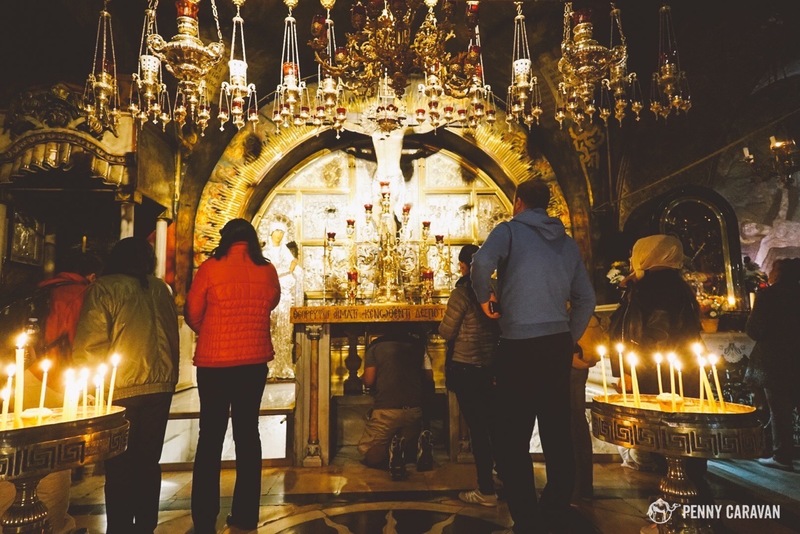 Today, stations mark the path through the Old City to the Church of the Holy Sepulchre which was built on the rock of Calvary, the scene of Christ’s crucifixion. Pilgrims may kneel under the altar to touch the bedrock where the cross once stood. Pilgrims may kneel under the shrine to touch the rock of Calvary. 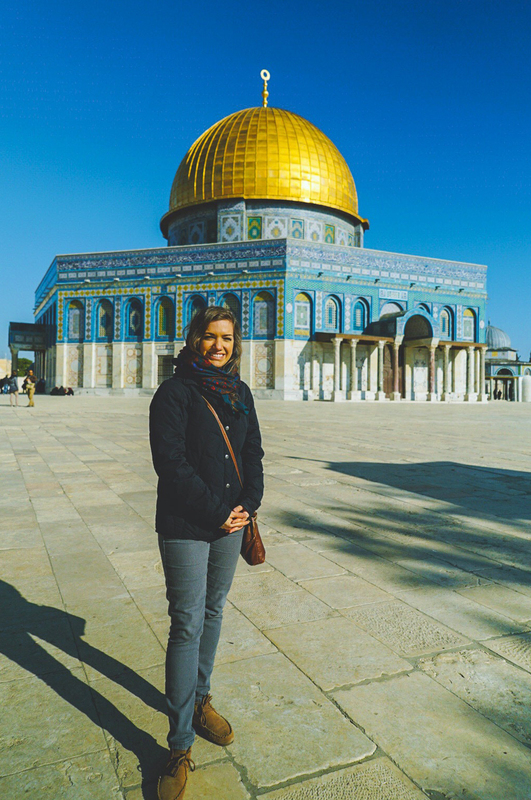 Visit the Temple Mount and admire the architecture of the shining Dome of the Rock. While you’re there, you’ll see dozens of people studying in the courtyard in groups divided between men and women. Don’t disturb or disrupt, but take the time to do some studying yourself! 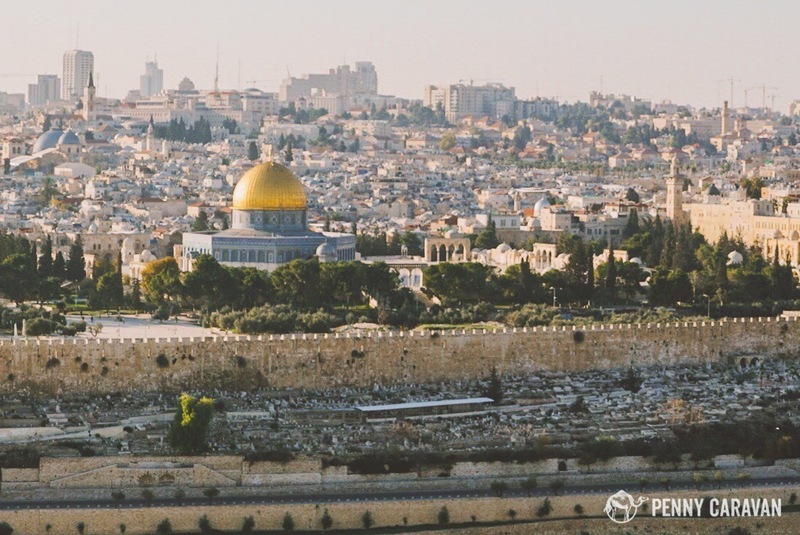 Take a guidebook with you and read up on the millennia of history that the Temple Mount holds. At the Dome of the Rock. 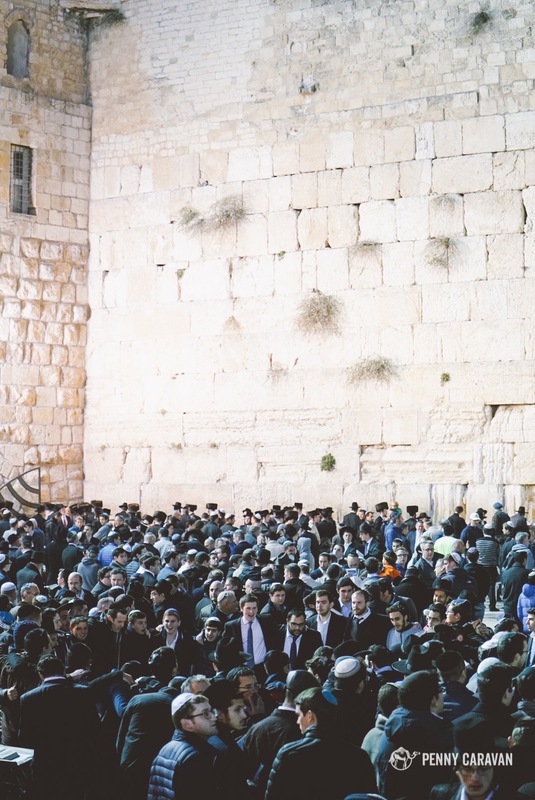 Did you know that what you can see of the Western Wall is only a third of its actual height? 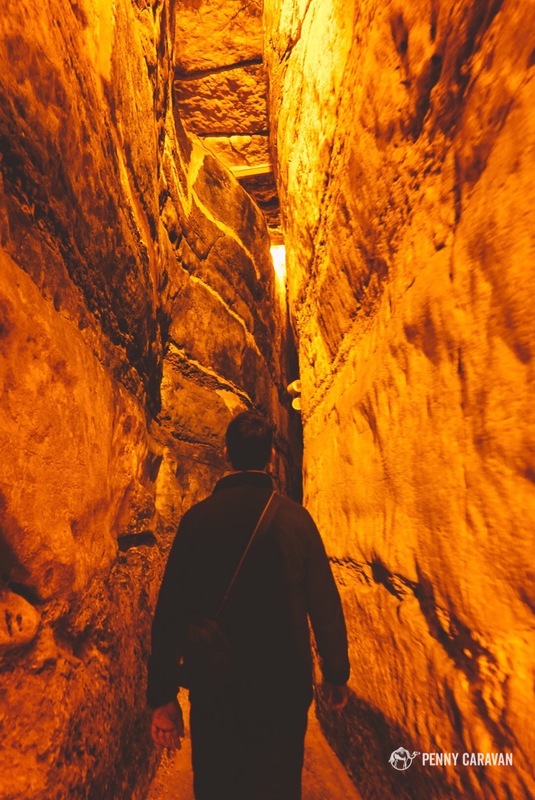 To see the rest of the wall, you have to go underground into the Kotel tunnels, where you can walk the entire length of the wall and see its base layers which are made up of megalithic stones. Along the way, you’ll see people gathering to pray just like they do above ground, because down here in the tunnels you can get even closer to the Temple Mount’s Holy of Holies. Walking through the Kotel tunnels. Truly, there is no better place to eat hummus than in Israel. 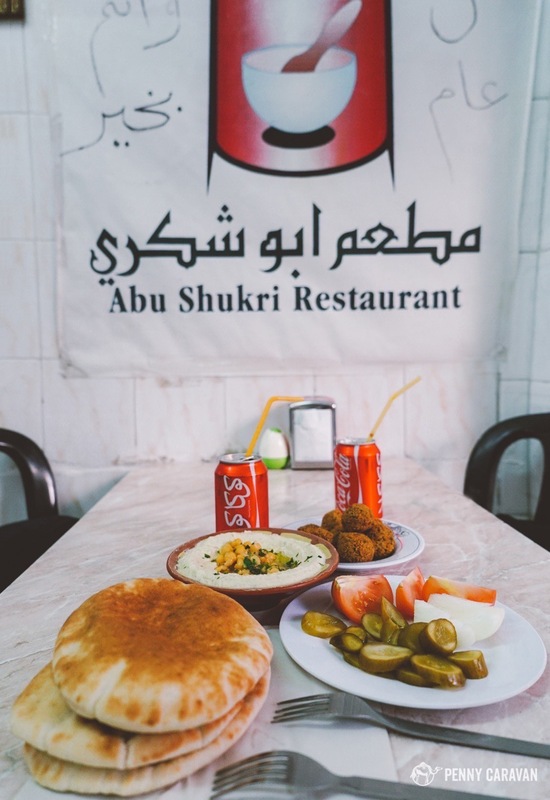 If you’re in the Old City, be sure to stop in to Abu Shukri’s, long regarded as the best in town. If you go to Machane Yehuda for dinner, try Azura Kurdish restaurant. The best hummus we have ever had. 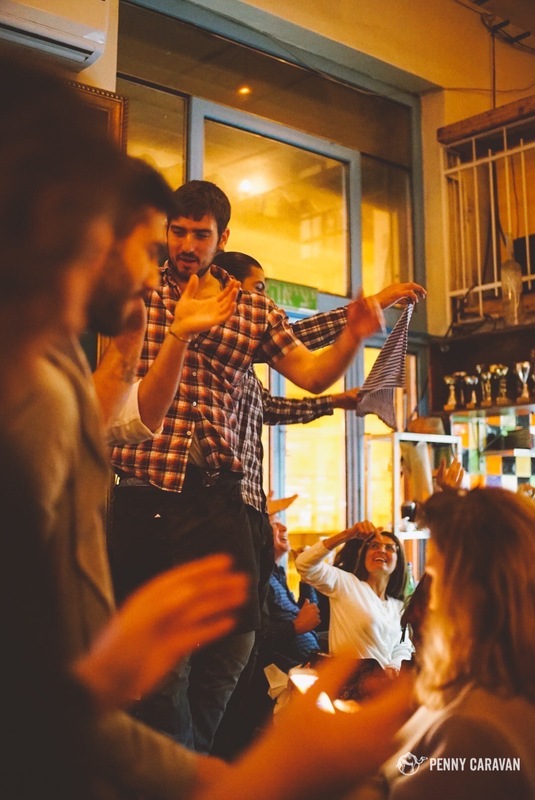 We may have eaten dinner at the Machane Yehuda market every single night of our trip. This daytime vegetable market transforms at night with dozens of cool restaurants, coffee shops and bars and sometimes, live music. This was definitely the hip spot in town! Dancing on the tabletops at Machneyuda. 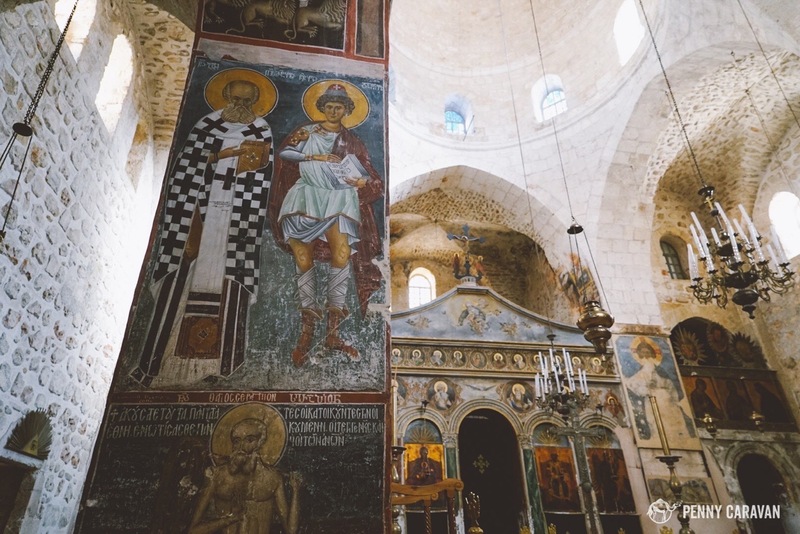 Today the Monastery of the Cross houses Greek Orthodox monks, but it was established by Georgian monks in the 4th century. A beautiful 17th century chapel stands which retains part of its original 6th century floor. Why was it built in the middle of Jerusalem? Well, it used to be a forest where Romans got the wood to construct crosses—yep, even the cross of Christ. Being the only visitors and having practically the entire place to ourselves made this one of our favorite churches in Jerusalem. On Friday just before Shabbat, we visited the Western Wall and witnessed a completely different vibe than we had seen the previous days. Crowds gathered at the wall not in silent prayer, but in a communal display of celebration with singing and dancing. A great experience! The wall on the eve of Shabbat. This one is kind of silly, but being in Jerusalem on Shabbat was definitely a highlight of our trip. The elevator in our hotel room had us anticipating the day all week. Our room even had an optional Shabbat control that would automatically turn off the lights at certain times. On Friday night, as you saw above, we visited the Wall and witnessed a complete change in the atmosphere. On Saturday morning, our hotel lobby was crowded with people waiting on the elevator. Without public transportation as an option, we had to haggle fares with our taxi drivers, who were charging a “Shabbat premium”. It was kind of a beating, but they drove us through some neighborhoods that we would have missed taking public transportation, where we observed Hasidic families wearing their best suits and fur hats. We ate in the Arab quarter which was bustling with market activity, and we visited the Rockefeller Museum which is one of the only main attractions open on Shabbat. Definitely plan ahead if you’re going to be in Jerusalem during Shabbat, but don’t worry, you’ll find plenty to see and do! 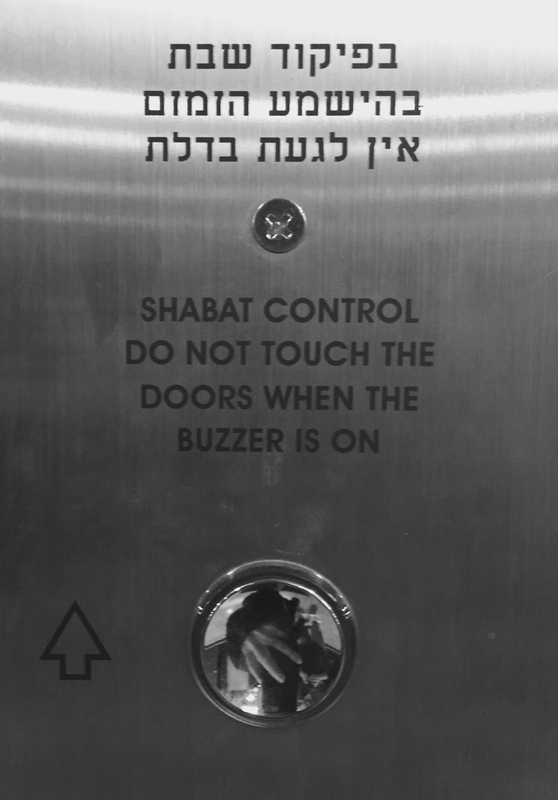 Shabbat elevators automatically stop on every floor so no one has to push any buttons.